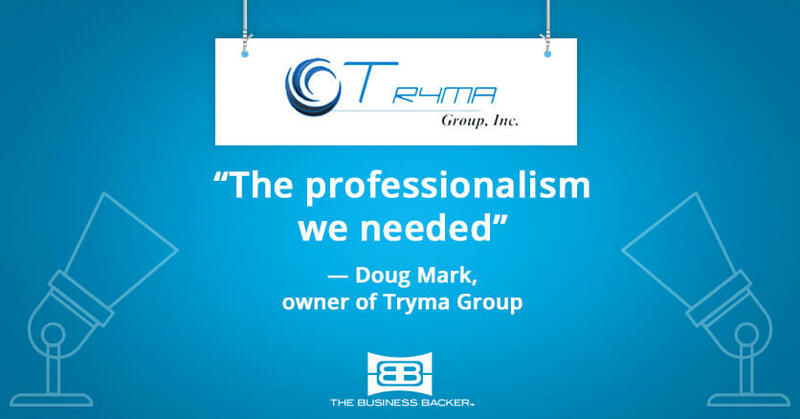 Doug Mark incorporated Tryma Group 2008 right before the market started spiraling downward. He’s been working hard ever since to keep his business successful and finding opportunities for growth in the pharmaceutical and biotech industries. Doug found the process of finding the right lender to be very trying —until he found The Business Backer. 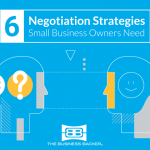 Read on to find out why Doug chose The Business Backer over several other lending options and what he thought of his experience as a small business owner. When we first recognized we needed funding to expand Tryma Group the way we wanted to, we looked at several different local sources. We quickly discovered that local banks don’t really have an understanding of small business. For example, I was talking to one lender about how I have a money market account and a business banking account at one bank — I was told that was sufficient if we could fulfill many rigid requirements (you’re in business for three years, have a minimum balance of $15,000 in your account for the next four months, etc.). The irony is that if I had all that, I wouldn’t even need to be talking to them. The lenders I spoke to have a very regimented structure of what they’re willing to work with, and that profile doesn’t match a small business owner. I found out from several other banks that I have done work with in the past that they don’t have a structure that lends itself to any kind of entrepreneurial business, especially not a small business that’s working on growth patterns. They want someone that’s already sound and established — something we clearly want to be, but we’re just not quite there yet. I started to browse online for a lender and came across quite a lot of questionable loan companies. Then I found The Business Back and I could tell they were professional. The other lenders I spoke with were just pushy and bombard you with a million different things they can do, but they weren’t genuine and implied that they were more in it for the sale rather than what I needed. What really sold me on The Business Backer was their professionalism — it’s my most valued trait in a lender. The application was very straightforward — there weren’t these hidden layers of pages, the requirements were very clear and when I started working with their people it was very apparent that they knew what they needed from me to get the funding I needed. The confidence in the next steps really portrayed a sense of professionalism that made me feel good. It made me feel a lot more comfortable about the process. My first experience with The Business Backer lasted approximately two weeks from start to finish — that was unheard of compared to what I’ve been working through! The communication was very impressive. It’s hard to say anything negative at all about the process. The electronic submission was exactly what I needed considering I’m on the move. 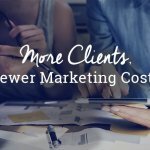 There were so many people where it was do it their way or don’t do it at all, but with The Business Backer, it was clear they were there to help me do it the way I needed to. I understand that startups are risky, but the interest many of these other lenders were asking for was clearly not going to help a small business. The Business Backer was different. Now that we have the funding that we need, we moved into an office at Regus Networking, who has over 3,000 office spaces throughout the world, each one providing what I need to support my clientele. The location is perfect — I’m within 30 minutes of my major pharmaceutical clients. Because of our new space, people can meet me in a professional environment that helps me with new clients and provides me with a quiet work place for when I don’t have any guests. Having the space has also opened up new opportunities for more time with potential new clients and resources to reach out to them. I’ve already made a dozen new contacts, and all of that was due to the structure of this funding.